Title: Curse of the Living Vampire! Synopsis: Desperate for human blood, Morbius attacks a group of three teenagers and nearly drains the girl before one of the two boys intervenes. The next day is Halloween and Peter Parker visits Aunt May in the hospital, stops by The Globe to drop off some photos, and then heads to Empire State University for his first day of graduate school as a teaching assistant. 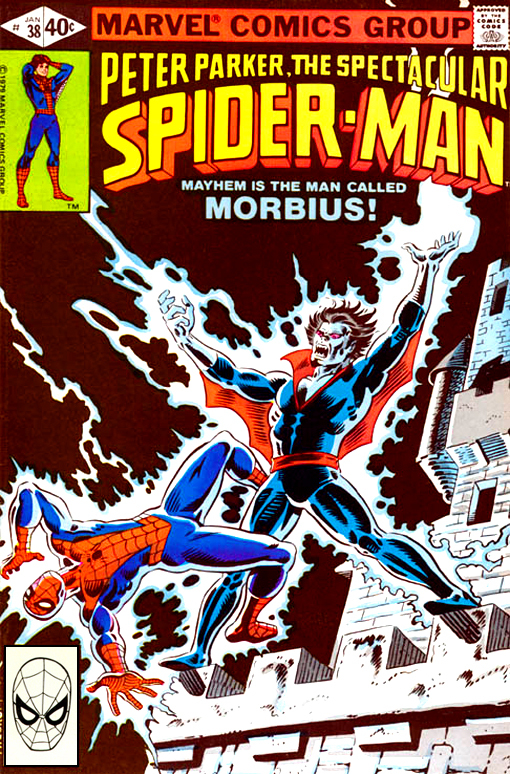 That night at an ESU Halloween costume party, Morbius appears again and Spider-Man engages him in battle. Just as he bites Spider-Man, the Living Vampire is struck by lightning and knocked unconscious, but appapparently cured either by Spider-Man's blood or the lightning...or the combination of the two.